John Stossel used a video I coproduced on his show last night. Thanks, John! Here’s a quick interview I did with Tom Zawistowski of the Ohio Liberty Coalition. A new Cato Institute video featuring the American Civil Liberties Union and the Center for Competitive Politics. In truth, he’s pretty funny. 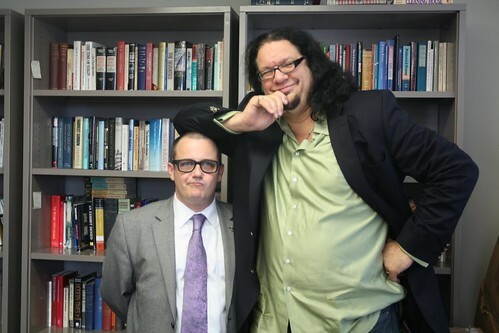 Penn was in town promoting his new book. Since he’s a Mencken Research Fellow at the Cato Institute, he dropped by for a quick interview. I’ve been a fan for a long time.